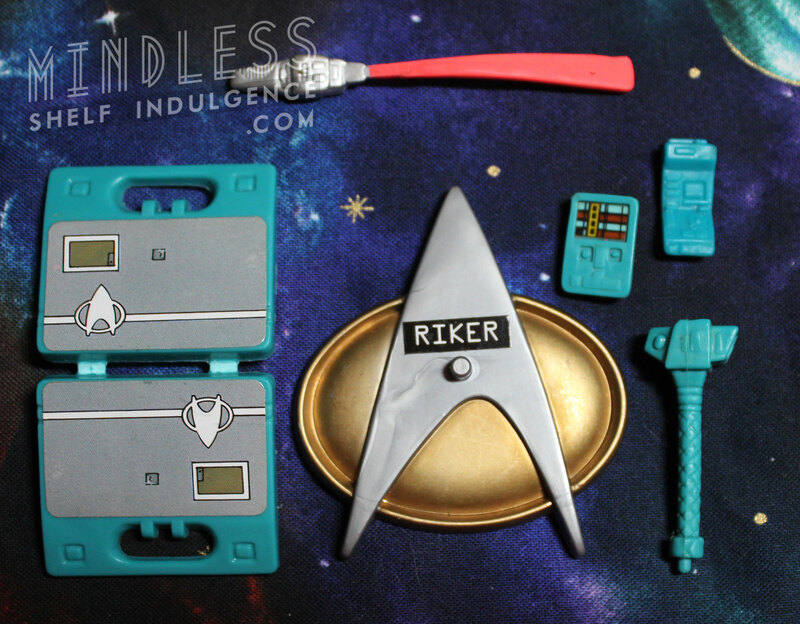 Season 2 Riker includes aqua accessories: a tricorder, a field kit, and a directional UV source. Series 2 Riker has a short collar and no rips on his shirt, which separates him from the previous Riker figure. 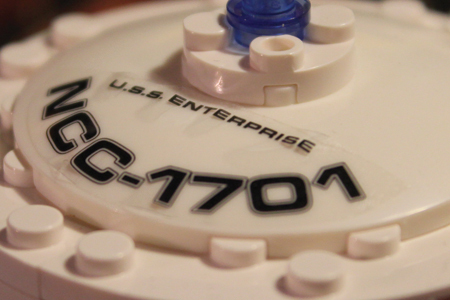 However, his leg is repainted from Series 1 “battle damaged” Riker – so it has a painted-over tear. 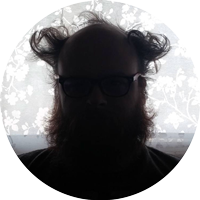 This is pretty close to being a First Season Riker… except for the mighty beard. 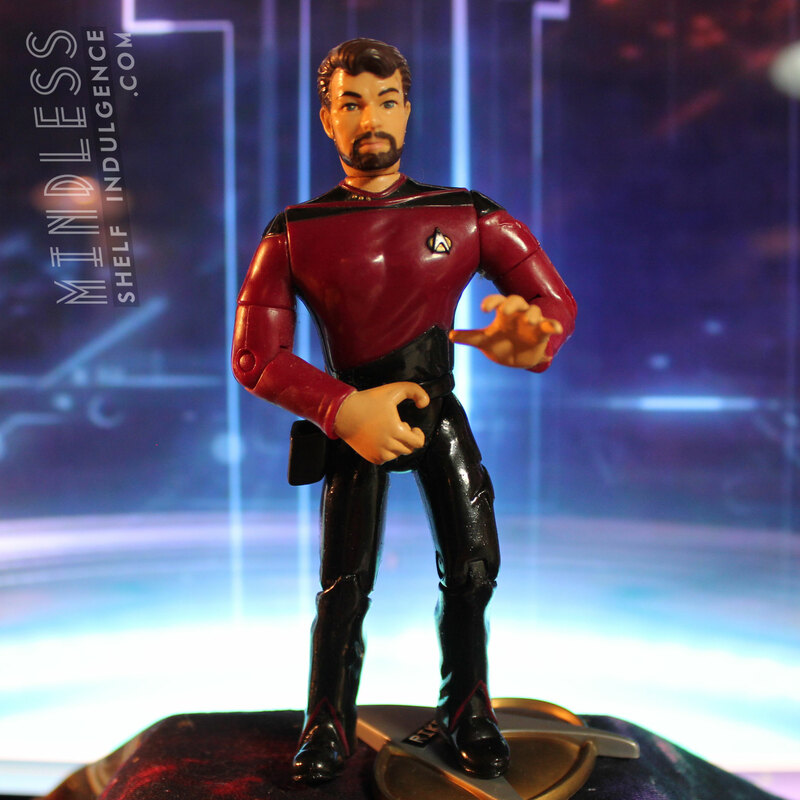 Has anyone tried a head-swap with Starfleet Academy Riker? 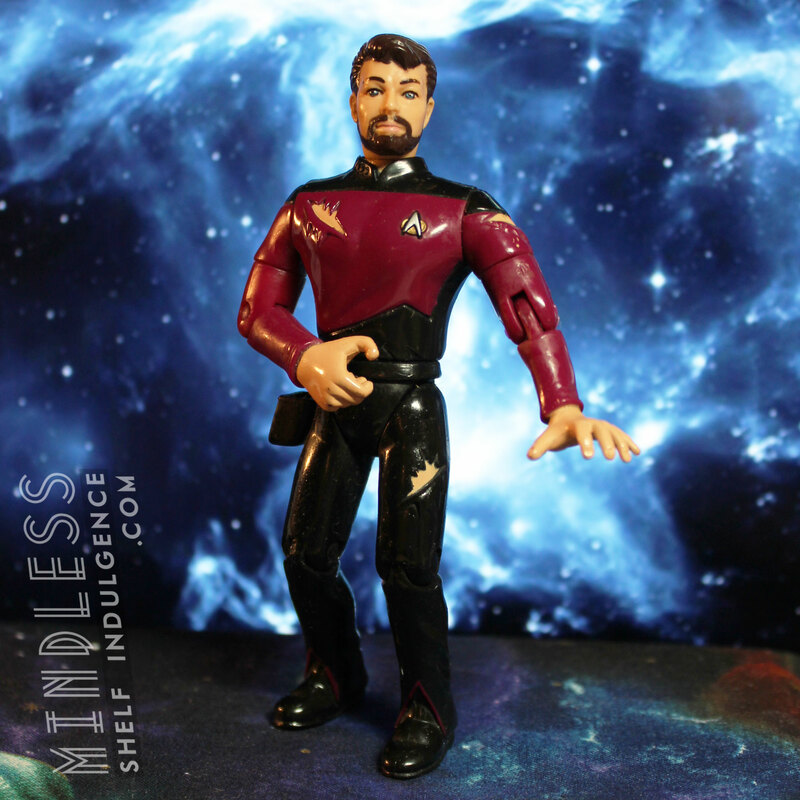 Telling Riker figures apart is all about the shoulders and the different markings through different seasons and films. 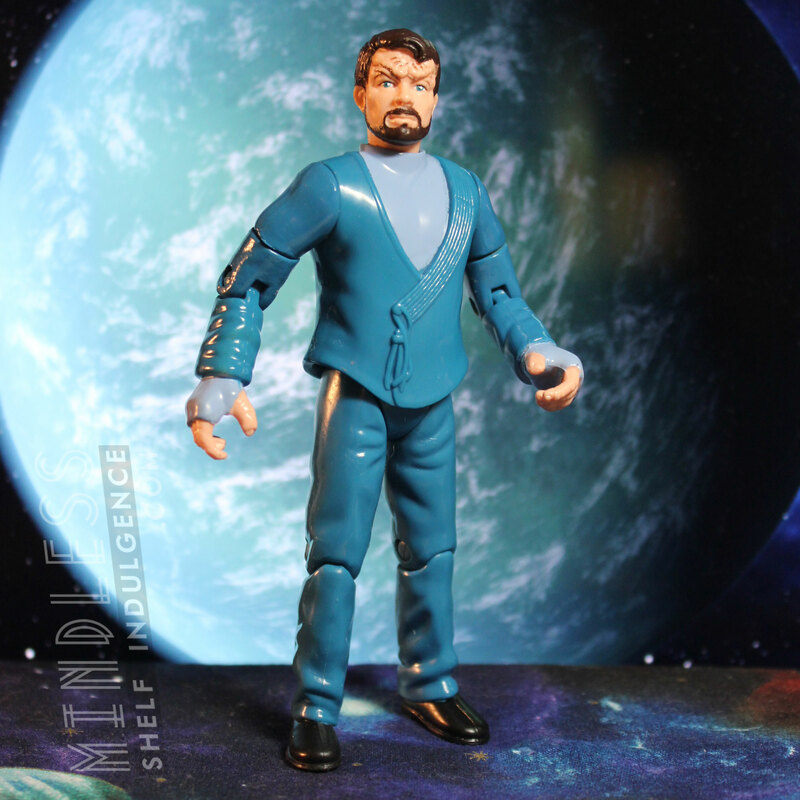 Generations Riker has arms with no articulation; his evil twin, Thomas Riker, is often in a gold uniform. 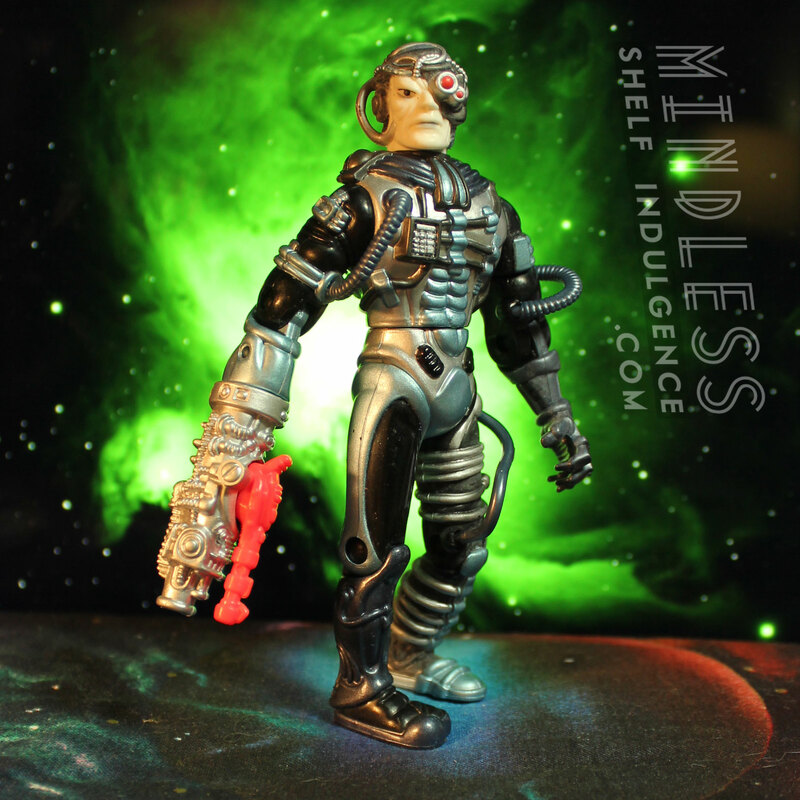 Click here for the full Star Trek Action Figure Archive.